I've just spent a lovely morning with my buddy Shaz, her son Jack (my godson!) and Jack's cousin Dale. 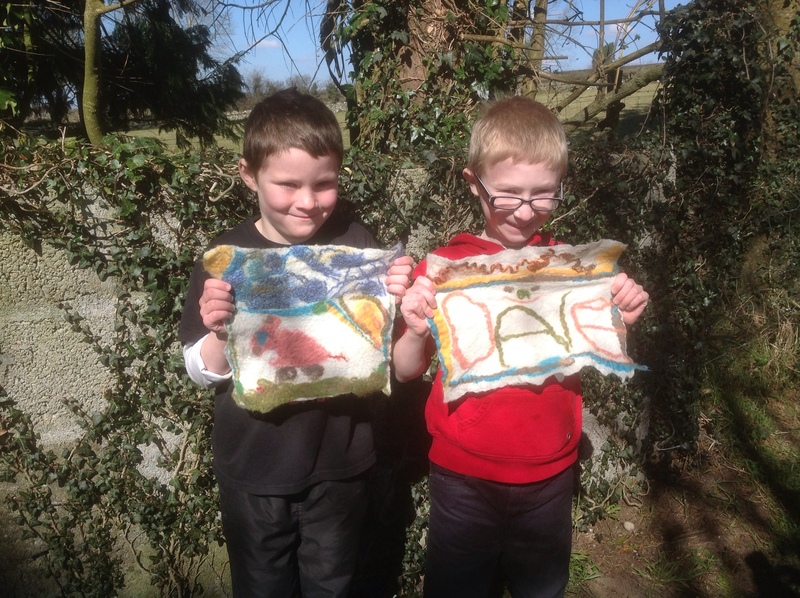 Jack felted with me before at Duckett's Grove but this was Dale's first time working with wool, aren't their completed flat felt pictures absolutely amazing??? This entry was posted in Felt, felt workshops and tagged Felt, felt picture, flat felting by Nicola. Bookmark the permalink. What adorable little guys, and of course their felt work is perfect, They will remember what a grand time it was spent creating their art, too.